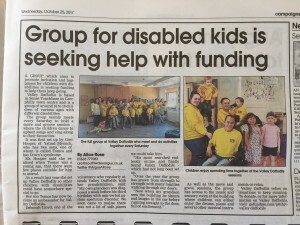 A GROUP which aims to promote inclusion and happiness for children with disabilities is seeking funding to help them keep going. Valley Daffodils is based in Sense Touchbase in Caerphilly town centre and is a group of around 16 to 18 children of various ages with different disabilities. The group mainly meets every Saturday to hold a move and groove sessions – where the children dance to upbeat songs and sing along to their favourites. It was first set up by Ceri Hooper, of Ystrad Mynach, who has two sons, one of whom is called Tomos and has Down’s syndrome. Ms Hooper said she realised when Tomos was a young age, that there were few places suitable for him to attend. As a result last year she set up Valley Daffodils so other children with disabilities could have somewhere special to go. 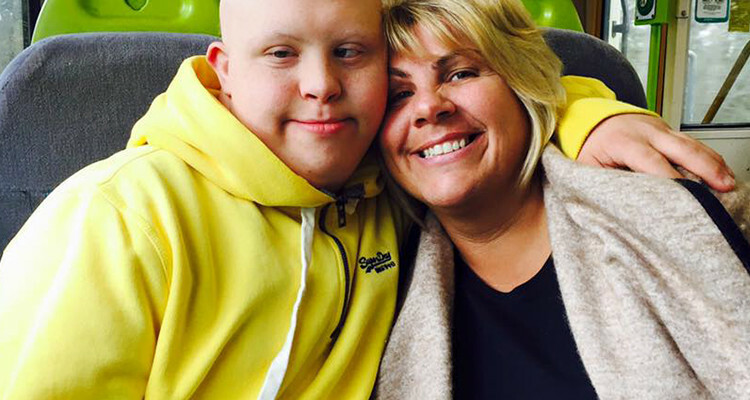 Her son Tomos has now become an ambassador for Valley Daffodils. Deborah Lloyd, one of the volunteers who regularly attends Valley Daffodils with her grandchildren said: “My own grandson was diagnosed a week before his third birthday with non-verbal autism spectrum disorder. We soon came to realise there was not a lot of safe places we could take him. As well as the move and grove sessions, the group has access to the music and sensory room at the building where children can either enjoy the drums, piano and several other musical instruments or relax.